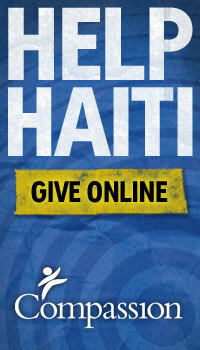 I just keep feeling overwhelmed at the enormity of the pain and suffering in Haiti. I know there are tragedies and disasters around the world every single day. Sometimes, we are struck with a disaster that seems so complete. This is one of those times. I just wanted to give a few links where you could go for info, give donations, and keep up-to-date on news and how to pray. Compassion International is an organization that has proven themselves faithful to God’s call to serve the poorest of the poor throughout the world. When a crisis happens, I know Compassion is already on the ground and already working with churches in the country that they have developed relationships with. I know when I support Compassion, I am not just giving money to a haphazard medical mission, but a structured organization with a pure heart fueled by God’s design. Paste Magazine is giving away a BUNCH of free songs to download if you donate through them or if you donate at all through any organization you can reach the free songs. This is a way artists are supporting the cause too. Mars Hill Church is sending a team down with photographers and videographers to bring back images so people can see and respond. Read the story below. Real Hope for Haiti Rescue Center has great pictures and blog to follow. Click below to see more from their blog. The Gospel Coalition Blog has posted some really great, honest articles that give some perspective. I especially liked the article, “Live with Haiti in Your Heart.” If you feel yourself stuck in a strange place of apathy and guilt, read this article. 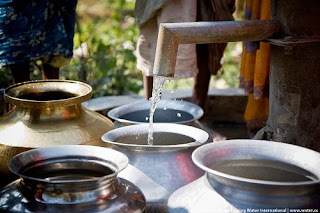 Living Water International is an organization whose goal is to bring water to people all over the world, and also the living water of the gospel. Their goal is to repair 500 wells damaged by the earthquake. Click here to see how you can help. My family used our Christmas tithing money to support this great cause! This song is an anthem and a challenge to the church to rise up in the midst of hurting and pain to heal the world with the power of the Lord. Click on the link below to download it.. hopefully it works, it’s a link from twitter. If not, go to NationsBeGlad twitter and they posted it there. This entry was posted in Causes, Culture, culture and current events, Philosophy and Religion. All great ideas, honey. Thanks for taking the time to post all that.